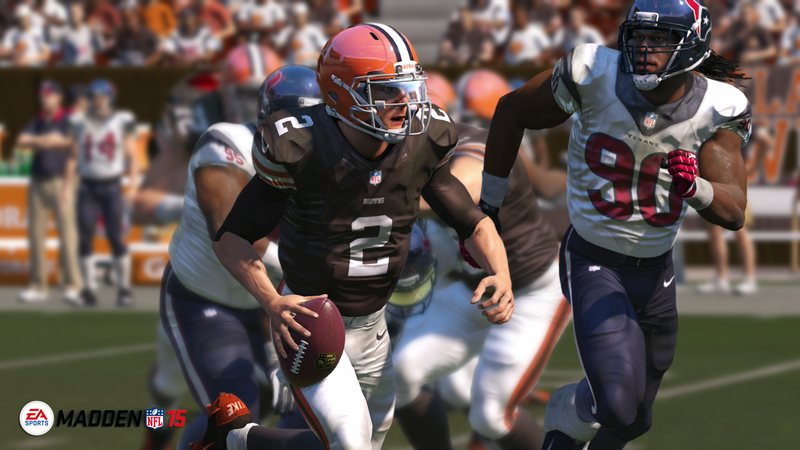 Starting on May 8 – it will be time for Madden news. Some of it has already started as EA Announced the August 25th release date. For many sports fans it is either the first month of baseball or playoff season for basketball and hockey. For the rest of us it will always be football season. This might be why as soon as the Super Bowl is over people are already in full ‘NFL Draft Mode’. For people like myself (Browns fans) we are already prepping for the next draft before this draft is even over. It seems that Madden is following the guidelines of those kinds of teams when it comes to improving the game. Sure, they might have a decent season that surprises us (Madden 10 and Madden 25), but largely they are expected to finish with a losing record (Madden 06-09 and 11-13). Madden seems to to take one step forward and two steps back annually. While they implemented much needed changes to Connected Franchise Mode last year, it was still sorely lacking once you got into the guts of the mode. Many of the contract negotiations were too easy and some of the retirements and signings were just flat out strange. My biggest pet peeve as a staunch CFM player was the player progression. By the time you get to your 5th or 6th season you will have on average 4-5 players on every team rated 90+ OVR. It is frustrating for me to so easily build the Browns into a contender and 4-time Super Bowl winners by the 2019 season. Second biggest pet peeve…? Easy – The in-game NFL Draft. It seems that every year that goes by they throw little changes into this and it is still disappointing. The presentation is lacking as Schefter seems to say the same stuff about players every 2-3 seasons. Then there are the teams that take a QB after already having two that are 80+ on the roster. The list goes on and on, but what makes it hilarious at this moment is the fact that EA released their own Mock Draft (which doesn’t even exist on any Madden game). There seemed to be logic in some of those picks – of course they took Crab Legs Winston #1 Overall. He sounds like a generated rookie from Madden after all. 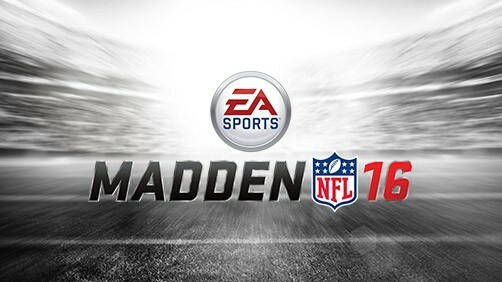 Stay tuned for the Madden 16 info as it is released! What Does The Madden Name Change Mean? What’s in a name? Apparently EA Sports thinks the 25th anniversary of Madden is deserving of a trip to the social security office for a tweak in the name. Madden 25 was just announced to be the official name of the only NFL game coming out this year (just like it has been since Madden 06). The only thing that might have made people happy was hearing that the developer was working on Madden 2K14. Keep dreaming. Chances are good that Madden 25 will also signify a change-over in consoles just like the switch from Madden 2005 to Madden 06 also greeted the next hardware generation. The idea of a new console is always exciting because of the possibilities in graphics and physics; but if one thing is certain we can expect one thing to dull our expectations for new software – bare bones games. Madden 25 for the XBox 360 and PlayStation 3 will most likely prove to be another slight tweak or change from Madden 13. Maybe there will be a few new animations or the ball will be a shade darker or smaller. Otherwise, you shouldn’t expect much to change. The new consoles that are rumored to be coming out this Christmas will most likely be priced between $400 and $500 with a pipe-dream hope of $300. The unfortunate truth is that most of the games that will be released with the consoles will be bare bones in their offerings. If you played Madden 06 or any of the other games that came out with the current generation you will notice how lacking they are in features. Also, many of them don’t take advantage of the graphical capabilities of the console. This isn’t a complaint at all. It is merely a point to be raised in order to lower expectations for the next generation. 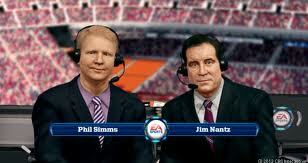 Not to mention the cynical view that Madden hasn’t changed many things in the 25 years it has existed. Would love to hear from the fan boys out there. 2K and Madden alike. Author NoobTubeTVPosted on February 1, 2013 Categories Gaming Blogs, News, ReadingTags 2K Sports, 2k14, EA, Madden, Madden 13, Madden 14, Madden 25, NFL 2K14, NFL 2k15, Playstation 4, PS4, XBox 720Leave a comment on What Does The Madden Name Change Mean?